Find out about the history of this forgotten art form. 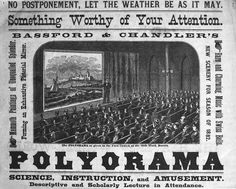 In the 19th Century, they were called moving panoramas as well as many other names. This is a collection of moving panoramas and related hand-cranked scrolls, big and small, from all over the world. Have fun exploring! I want to thank the many historians and museums for their work and their willingness to share their information and images with me. They have done the "heavy lifting." Erkki Huhtamo, Russell Potter, Suzanne Wray, Ralph Hyde, Peter Morelli, Sara Velas, Jeffrey Ruggles, Dmitri Carter. Michelle Granshaw and Nick Whitmer. MOVING PANORAMAS: SMALL, MEDIUM AND ENORMOUS! This late 19th/early 20th century moving panorama is about 2 inches high. From the collection of Erkki Huhtamo, photo by Sue Truman. In the 19th Century, moving panoramas ranged in size from very small to enormous! SMALL: The very small ones, with scrolls a few inches high, might have been created as a child's toy such as an Ombro Cinema. Or, small moving panoramas were given as souvenirs at large moving panorama performances. Look at the collection of Erkki Huhtamo. This moving panorama about the Trans Siberian Railroad was a whopping 800 feet long. It was divided into four spools. It was performed at the 1900 Paris Exposition and has survived! It is housed at the Heritage Museum in Russia. Image from Illusions in Motion, by Erkki Huhtamo. ENORMOUS! Finally, there were the large moving panoramas, big enough to fill a whole stage. The scrolls were 8 or more feet high and hundreds or even over a thousand feet long. They were painted on canvas or muslin in the 19th Century. Only 20 or so of these large scrolls have survived to this day. The surviving scrolls are too fragile to crank, but some brave souls have recreated the large moving panoramas so that we can experience the magic and awe of a huge canvas being hand-cranked. 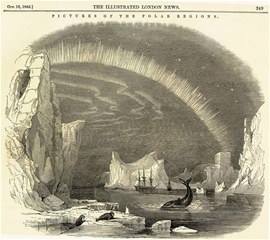 You will find examples on these pages: Hibernicons: A Moving Panoramic Tour of Ireland, Grand Panorama of a Whaling Voyage Round the World, The Moving Panorama of Pilgrim's Progress, The Grand Moving Mirror of California and the Moving Panoramas of the Mississippi River. 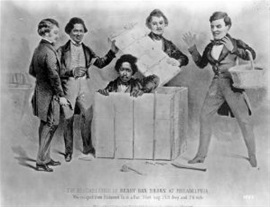 Learn about three moving panorama showman: John Banvard, Henry "Box" Brown and "Dr. L.E. Emerson. 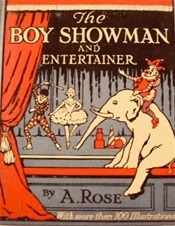 Historian Ralph Hyde (1939 - 2015) created a comprehensive (over 500 pages) list of moving panorama showman and women from around the world The Biographical Dictionary of English Panoramists. It was still a work in progress when Ralph died in June of 2015. 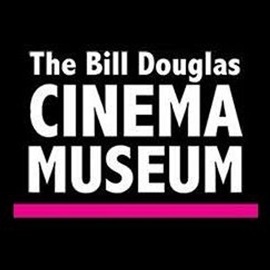 His estate donated the manuscript to the Bill Douglas Cinema Museum in London. You can link to the PDF here. I am totally rewriting this page, check back later! This photographer was strapped to the front of a train to make a film for the "Phantom Ride." This is an interesting collection of examples of "train moving panoramas". Starting with an early 20th century child's moving panorama, described by the late, great historian Ralph Hyde. 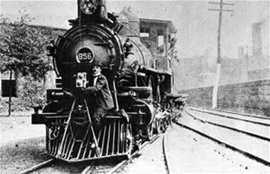 Also two examples of moving panoramas with the same theme, the Trans Siberian Railroad, which were performed at the 1900 Paris Exposition. This evolves into a fairground attraction ride called Hale's Tours and Scenes of the World. This kind of "ride" was featured in the Hollywood movie "Letter from an Unknown Women." Click here! Moving Panoramas by River, Sea and Ocean! Painted on 1848, the Grand Panorama of a Whaling Voyage Round the World is the longest surviving mover panorama painting at 1,275 feet. 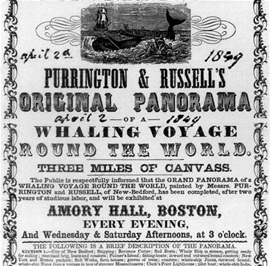 Traveling by water was a popular moving panorama theme. The audience could sit back and imagine they were traveling along the Mississippi or the Mediterranean. They may "travel" to exotic lands such as the Arctic! Click here! I purchased this 1930s book on Amazon. I wasn't able to read it because it came with some mold "issues" and gave me a big allergy attack. It had to go back in the plastic bag! As a crankie artist, I really love reading old articles. Typical for this time period, the information is written for boys, glad we are evolving. See what I have in my library. Thank you to independent researcher Suzanne Wray for helping me with this bibliography. 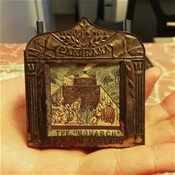 The International Panorama Council is a group committed to supporting the heritage and conservation of 19th and early 20th century panoramas (both stationay and moving panoramas). This organization also supports awareness of current art forms (such as crankies)! Visit their website panoramcouncil.org. It provides a searchable database of historic panoramas plus you can find out what's happening in the international community. The Bill Douglas Cinema Museum has a fantastic collections of toy moving panoramas, broadsides and program keys. Go to their search tool and type in "moving panorama" or "myreorama." Enjoy!